B&C Farming Ltd’s farming operation stretches across North East Norfolk and covers in excess of 1000 hectares. Passionate about farming, the team at B&C have years of experience, enthusiasm and attention to detail in all things agriculture. 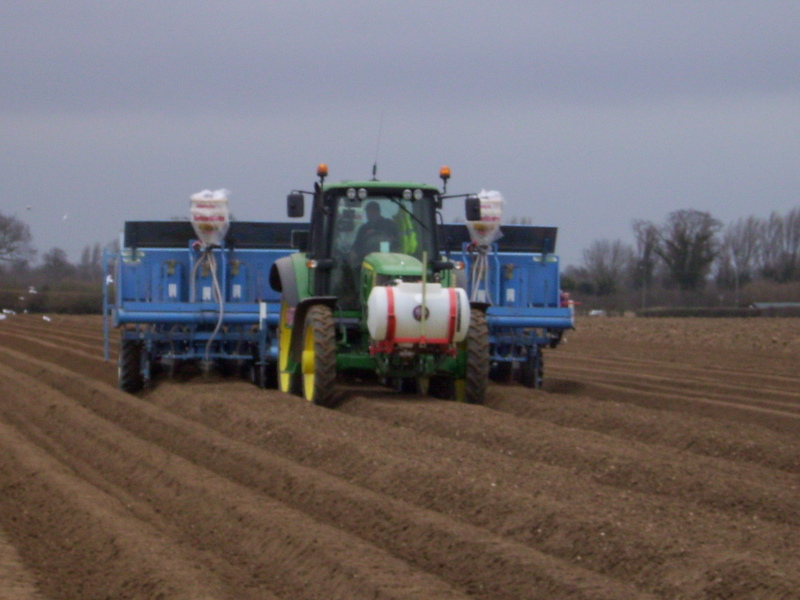 In addition we engage constantly with the latest research and examples of good practice from across the industry, working with the HGCA, Cambridge University Potato Growers Research Association (CUPGRA) and DEFRA. B&C Farming neighbours Marsham composting facility, from which we have a source of soil organic matter and nutrients providing a significant long term benefit to farmland productivity. Accurate application of organic manure is paramount and we analyse the compost regularly. The business is also part of the White Cross Sugar Beet Haulage and Harvesting syndicate. At the foundation of the farming system and as such a failure in its integrity means a failure in the performance of your farm. B&C Farming consider carefully the planning and execution of several factors including cultivations, rotation and use of inputs to ensure that soil health continues to improve, we farm the land like we’re going to farm it forever. Offering a broad and strict rotation of crops, notably the seed potatoes in our portfolio can provide not only balance for the land but also good returns. B&C Farming Ltd have a strong portfolio of customers who recognise the quality of cereals grown by the company, B&C Farming grow a significant portion of the UK’s seed crop of the winter barley, and brewers favourite, Maris Otter. A resource of paramount importance, B&C Farming Ltd have expertise to execute successful water management on your farm. This can be through planning and organisation of irrigation or taking on big projects like building reservoirs. Effective and efficient use of water is integral from not only a cost but also an environmental perspective. We recognise the need to maintain and enhance the potential of our contracted land beyond core agriculture, we include work on this aspect of the farm as a key part of our contract farming service.